Raised in Wroclaw, he made a career for himself in Vienna and reached the highest level of employment a foreigner ever did in the company Siemens. 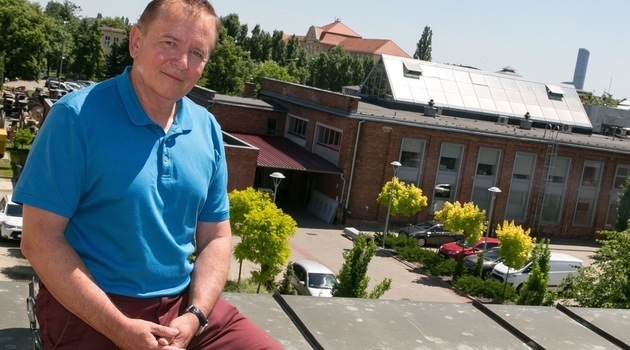 It is he who is considered the godfather of the success the IT industry had in Wroclaw. Jarek Ratajczak talks to Krzysztof Kuliński about life, business and family. 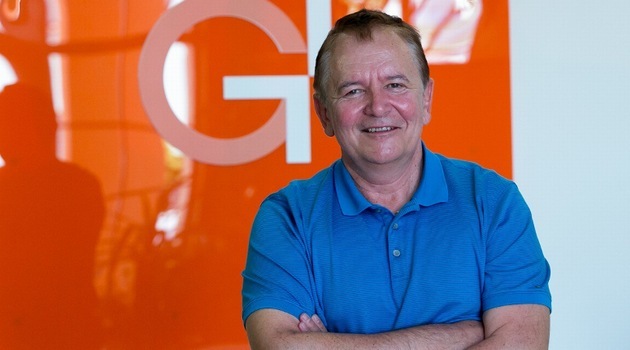 Because of Kuliński’s tight schedule, he agreed to talk to me briefly about his current company, GlobalLogic. At the beginning, I venture: ‘Since I succeeded in meeting with you, let’s talk about the boy from Wroclaw, who during the Martial Law got a one-way ticket to Vienna, made a career for himself in Siemens from a programmer to manager, and has contributed to the success of the IT industry in Wroclaw.’ ‘OK, ask away,’ I hear. Tomasz Walków, a fellow photojournalist, was a little less happy than I, because he’d probably already knew that he’d be late for the next meeting. But he didn’t seem to regret it too much after all, because he often joined in the conversation. Krzysztof Kuliński is 59 years old. He says that he’s a Wroclavian, but he was born in 1957 in Włoclawek. His father worked in a Wroclaw company Dolmel. ‘I used to visit him at the plant, and today my office is a few hundred meters away. History seems to repeat itself,’ Kuliński laughs. He grew up in Krzyki, in ul. Słowicza. First there was the Primary School No. 76 in ul. Wandy, later the High School no 5. in ul. Grochowa. After graduation, in 1976, he chose computer science and management at the Technical University of Wroclaw. After the fourth year, in 1980, he went with a friend from the Medical Academy to work. When almost all of his friends went to work abroad in Germany, he chose Norway. ‘I said I didn’t want to learn German,’ laughs the businessman. As it turned out, life has played a trick on him, because a few years later he not only spoke, but thought and dreamt in that language. The two friends took a train to Swinoujscie, a ferry to Ystad and continued hitchhiking. Instead of money, they had in their backpacks a few bottles of vodka, which they quickly sold (and with a large profit, too). They sought a job with a piece of paper in hand, saying in Norwegian “We are students from Poland. We’re looking for a job.’ In Norway, 500 km north of Oslo, they worked in a sawmill. In August 1980 strikes broke out in Poland and Norwegian television broadcast a lot about our country. The two students from Wroclaw quickly became a kind of local attraction. Norwegians helped them a lot, for example allowing them to call Poland for free. Kuliński and his friend debated whether to come back, or not, but his friend was a young husband, so they returned. ‘Basically, we were deported, because my friend’s visa has expired [laughs]. Norwegians treated us very well indeed, and there was no “trace” of it in our passports. There was Solidarity, enthusiasm and joy in Poland, but nothing was certain there, in terms of political situation. I didn’t want to join the army, so I asked for a dean’s leave and went to Austria. It was 1,000 dollars, brought from Norway (in Dolmel, his dad earned approx. 30 dollars a month, after conversion). ‘Well, and?…,’ I inquire. ‘Any investments, deposits?’ ‘No way!’ [he laughs] ‘The “greenbacks” went to parties and taxis, and frankly, I did some hard partying, but I don’t regret it. In Austria, he worked in a chemical laboratory, in the quality control department (he still didn’t speak German, but English). There, he met an Austrian lady, whom he married in October 1981 in Wroclaw. However, the couple lived near Vienna. Kuliński wanted to finish his studies at the Technical University, so he went by train to Wroclaw once a month. Unfortunately, he got off at the Wroclaw train station on December 12, and a few hours later General Jaruzelski imposed the Martial Law. How about saying good-bye to Poland? But the beginnings in Vienna weren’t easy. His wife worked, and he learned the language intensively. He couldn’t stand living off his wife for long: he worked as roofer (although he has a fear of heights), painter, vendor. When he got a special passport from the consulate, he could finish his studies in Wroclaw. In September 1983 he presented his thesis at the Technical University. In 1985 he got Austrian citizenship and Austrian army claimed his service. He chose the civil service. In 1986 he worked in the famous refugee camp in Traiskirchen near Vienna. In Vienna, he found a job at Siemens: ‘I really liked the fact that so many foreigners worked there.’ Kuliński started from the position of programmer and rose quickly. ‘I became interested how it all works business-wise: why we do it, who is buying it, and so on. After a year I was the team leader, and later, the manager. Kuliński says that Austrians are a bit like Germans: they are at a loss when things do not go as planned. He was figuring out how to do things differently, and always had a solution. – In both life and business you need to have style, and I don’t mean dummy style. You need to make decisions from the heart and guts, and not just look at the charts,’ Kuliński reveals his personal motto. For the Austrians pronuncing the name Kuliński was too difficult, so they nicknamed him Kuli, and so it is to the day. Kuliński is simply Kuli or now, due to the age, Papa Kuli. In January 2000, negotiations started on the location of Siemens in Poland (in Warsaw were only the sales and service departments, there was no software development centre). There was only one, big question – where? ‘I prepared a business plan and proposed locations: Poznań, Katowice i Wroclaw. I visited the cities, talked with local authorities and heads of universities and my recommendation was Wroclaw. The Germans said OK, but the Warsaw branch of Siemens opposed, because they preferred Katowice. I played va banque. I said OK, go ahead with Katowice, but without me, you can handle it yourselves [laughs]. I heard: no, no, all right, Wroclaw it was then, but would it work? It would, I said, and so it began. In June 2000 ads appeared at the Wroclaw Technical University, announcing job openings in the Wroclaw branch of Siemens. Siemens wanted to hire 20 people, and after a week received 800 CV’s. Then Kuliński began to think of moving to Poland. ‘I thought both tactically and politically, as business is also politics. With a strong position in Austria, I could quickly approach all the most important people in Siemens. To Wroclaw came my trusted colleague, Gerhard Zalmer, and was the project coordinator on behalf of Siemens. The Siemens branch was established in some of the old buildings of the company Elwro in ul. Ostrowskiego. The branch of the international concern was responsible for the preparation of software for mobile phones. At the beginning, approx. one million euro was invested. The staff were on training courses in Greece, Germany and in Kuliński’s department in Austria. ‘In early 2003, the company wanted engage more in production in Wroclaw and I heard: “Kuli, you need to decide: are you going to Wroclaw, or staying?”. Since 1 July 2003 he has been director of Siemens’ software development centre in Wroclaw and began to develop closer links with the city. There was this idea to join forces and entice more companies from the IT industry to come to Wroclaw. A campaign was held in Berlin, Munich, and in Austria. Representatives of the city spoke about Wroclaw’s assets, and Kuliński was praising doing business with the city. In 2005, Siemens, which had approx. 1,000 employees in Wroclaw, changed its policy and began to divest of the telecommunications department. Kuliński and Siemens split up in 2006, when the company decided to merge with Nokia. – My heart and intuition said: “Kuliński, this isn’t for you.” I knew Finland before, and there was something that didn’t fit with me, I didn’t like their management methods. After years of working at Siemens, Kuliński decides to start off on his own, but slowly, while still at Siemens, at the end of 2007, develops the company REC Global. His partners are his wife Urszula, who became the first president of the company, and trusted employees, with whom he worked for many years and in whom he had full confidence (including Małgorzata Rak, who has acted as CFO since the beginning of Kuliński’s stay in Poland, dealing with the financial matters). Siemens urged him to stay, but he was already determined. He was no competition for the former employer, because Siemens got rid of what Kuliński was supposed to do with REC Global. ‘For Wroclaw, Siemens’ decision was very good. When Siemens sold its departments in Wroclaw, Nokia, Tieta, Gigaset, Atos and REC Global came in and the people Kuliński employed in Wroclaw Siemens but a few years ago, found jobs there. 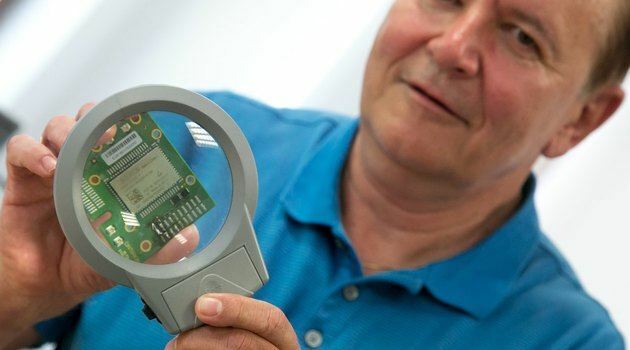 For Kuliński, the idea for REC was simple: to keep doing what he did so far: tailor-made software. He had the contacts and knew how to do business. He also had what is priceless in business – the trust of customers. The 51-year-old didn’t want to start his business slowly, in small steps, but worldwide all the way. His motto is to do something “fule pule” (right away). After a few months he had companies in the Czech Republic, Slovakia and Croatia, and later branches in Koszalin, Szczecin and Zielona Góra. In 2008, REC was hit by crisis, as many other companies in the world. They’d had a great deal for automobile software for an US manufacturer. On a Friday they got a fax that the deal was off because the company filed for bankruptcy. Kuliński negotiated that the customer didn’t cancel the contract on the spot. That gave them time to find another offer and avoided bankruptcy. Later on, it was just getting better. In 2009, REC Global bought the development centre of a German company Cinterion Wireless, the market leader in wireless solutions. Since 2009, they’ve had growth, and it was by 20-30 percent in terms of revenue and employment. ‘The beginnings weren’t easy, because there was no money. Even if you have a large order, the customer doesn’t pay immediately. And in the meantime you need money for equipment or salaries for employees. It was difficult to get a bank loan, so I persuaded friends who had some money, to invest. Nobody hesitated. That’s why REC had many shareholders [laughs]. The global crisis has taught Kuliński that in business it is important to diversify. After the success in the German, Austrian and Swiss markets they started off to the Netherlands and Scandinavia. In 2011, REC started an internal project “REC goes to the USA.” ‘If you want to work in this industry, you” have to be in America sooner or later. And there’s one more thing – it’s better to make money in three currencies (złoty, euro and dollars) than in one. This is also a part of diversification. Calls from the US began in 2012. ‘We’ve been watching you, how about meeting and talking, perhaps you could use some money. We’d be happy to invest. But we didn’t want it. 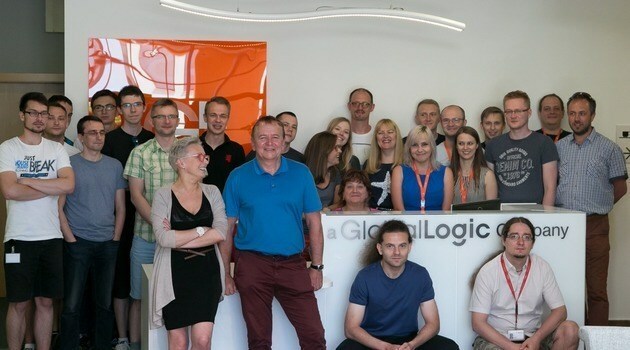 An Austrian fund told us that if we wanted to continue to grow, they’d find us a customer.” That’s how GlobalLogic came up. First negotiations begun in 2012 in California. Both parties gave each other sometime. They checked a dozen companies in Central and Eastern Europe and said: “You can say what you want, but for us, you are number 1.” ‘Many companies wanted to buy us, but there was no “magic” between us during the negotiations. With the Americans, we complemented each other. They employ 9,000 people around the world: in USA, Argentina, Chile, Ukraine, Israel. We have customers in Europe who guarantee that our centres will grow. On January 13, 2016 REC Global, a Wroclaw company providing services in the field of software engineering in more than 20 countries in Europe and the US, has announced a new chapter in its history. The company was incorporated in the structure of the American giant in the global software market – GlobalLogic. Kuliński argues that for the people with REC nothing really changed. ‘Officially, it is a sale. Americans bought 100 percent of shares in REC Global, but from the business point of view only the owner has changed. We do what we did before. My dream has come true, we are in the US. We got a huge kick start,’ says Krzysztof Kuliński, but doesn’t reveal the amount of the transaction. ‘I like the way Americans approach business: with openness and going straight to the nitty-gritty. There, you can do business by a handshake in a pub, the papers come later. Krzysztof Kuliński is considered a precursor to the development of the IT industry in Wroclaw. For that , and other things, he was awarded by the mayor of Wroclaw in 2008. It is worth noting that currently the heads of Wroclaw branches of such international giants as: IBM, Gigaset, Dolby and Atos are people who began their career alongside Krzysztof Kuliński. Does he regret anything? ‘I’m sorry to see what is happening in Poland nowadays. I fear that with the current government we can lose what our country has achieved. My friend from the US and Austria keep asking what has happened in Poland, and I can’t answer them. Krzysztof Kuliński was married twice: in 1996 he divorced his first wife, the Austrian (they have two children) and in 1998 he married again, to a Pole Urszula. After the wedding, Urszua and their son move to Austria. Kuliński points out that from the beginning, his wife strongly supported his business ideas. ‘Three of my children live in Austria and I’m a happy grandfather,’ he stresses and admits that now he spoils his 4-year-old granddaughter, Anika. ‘But I don’t give her a computer or a cell phone, I’d rather read her a story, or go to the Wroclaw zoo. I plan to take her fishing. When asked about the details of his wealth, he enumerates: “I don’t have a yacht, I drive the company Lexus because it is comfortable and live in a terraced house in Wroclaw’s Muchobór or a an apartment in Vienna.’ Kuliński claims he does not attach importance to material things. ‘[Laughs] How many oysters and champagne do you think I can handle? The thing I cherish the most is the “deal” which are my children. For years, Kuliński has preferred to spend his holidays in Poland, in Drawsko Lake District. He’s got a favourite spot he visits travelling for business to Koszalin or Szczecin. He likes, as does his wife, the Mediterranean, particularly Greece and Croatia, Italy and Cyprus. He enjoys cycling, and especially loves to bike the entire Danube boulevards in Vienna. When in Wroclaw, he does fitness, to “burn off some calories and build muscle.” His passion since childhood is fishing. In his spare time he goes angling with friends on the Oder. Is it the stage at which Kuliński ends business activities, or will he come up with something new? ‘[Laughs] Recently, I’ve been going through a small crisis, because thanks to our American partners, I decided to switch to a Mac. And I’ve ended up fighting the old habits, but I’m not afraid of the new, it turns me on and interests me.